Worn to be Wild is the home of a fabulous collection of fancy dress and vintage costumes. Costumes are available for hire from us at Botley Mills, Hampshire, address and Google map locations are given on the Find us page. If you would rather browse on line and then email us with your requirements our team of costumiers would love to work with you to find your perfect fancy dress outfit. What about this stunning 60s outfit for this year’s Goodwood Revival? The dress is a 1960s original, the outfit is completed with matching hat, coat and boots – just ready to leap into a Mini Cooper and drive a few circuits with Sir Stirling. For a pirate or maybe Peter Pan theme, this Captain Hook outfit, consists of a splendid velvet military style jacket, white ruffled shirt, breeches and shoe buckles. Is your school putting on a play, would you like to bring your GCSE text to life? We have a selection of costumes that would suite many of the classic texts – Pride and Prejudice, Romeo and Juliet, An Inspector Calls and many more. Or perhaps your Cinderella needs a Prince Charming? Christmas and Halloween are always busy for us – we have a range of Santa outfits and some truly scary Halloween costumes, the Vampire Bride is one of our most popular outfits! Just be careful when you walk through the Churchyard! 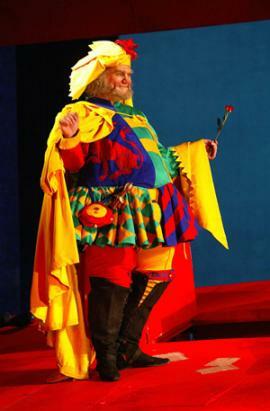 Worn to be Wild has a wide range of men’s outfits, including the Verdi’s Falstaff costume as worn by Bryn Terfel. We supply children’s fancy dress too – if your son or daughter’s school is running a Tudor or Victorian day we are here to help you find that perfect outfit. The costumes shown on the website are representative of the costumes we have available in the shop. You are welcome to come and browse – check our opening hours first – or email us with your requirements. If still can’t find what you need – no problem – we can make it! Whatever your event, Worn to be Wild will have the perfect outfit for you!